The Department of Fisheries and Oceans has invested $1.7 million to fund an artificial reef project in the Miramichi Bay. Two organizations, Anqotum Resource Management and Homarus Inc., have partnered in the project to help restore coastal habitat along New Brunswick's eastern shore. The Department of Fisheries and Oceans has invested $1.7 million to fund an artificial reef project in Miramichi Bay. Anqotum is an aquatic resources and oceans management program for the communities of Elsipogtog, Buctouche, Eel Ground, Eel River Bar, Fort Folly, Indian Island, Metepenagiag and Pabineau First Nations. Homarus is a research and development organization created by the Maritime Fishermen's Union to ensure sustainability of lobster fishing. "It essentially allows them to grow up during the phase where they are most at risk of being eaten," DFO Minister Jonathan Wilkinson said. The idea is to help make the area more productive for lobster fishing. 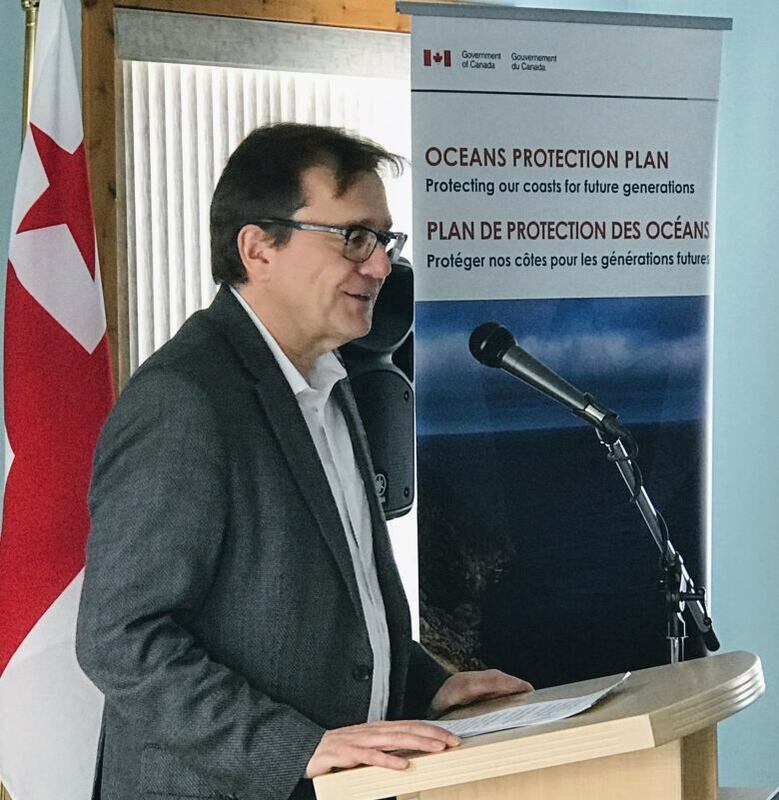 "The hope is to ensure that we continue to have a productive fishery in those areas and it becomes more productive over time through the use of these [reefs]," Wilkinson said. Money for the project comes out of the Coastal Restoration Fund, which is part of the federal government's Oceans Protection Plan. The plan aims to rehabilitate vulnerable parts of Canada's coastline. The investment will span four years, during which time the reefs will be monitored to determine their impact. 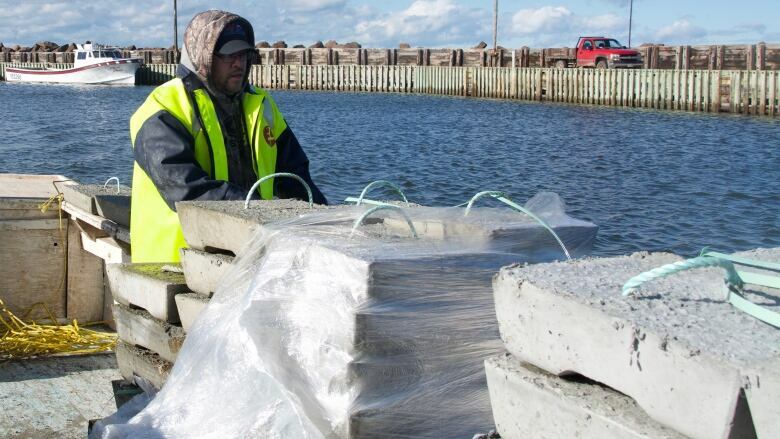 DFO expects up to 40,000 artificial reef units to be installed. Each unit is about the size of a briefcase. 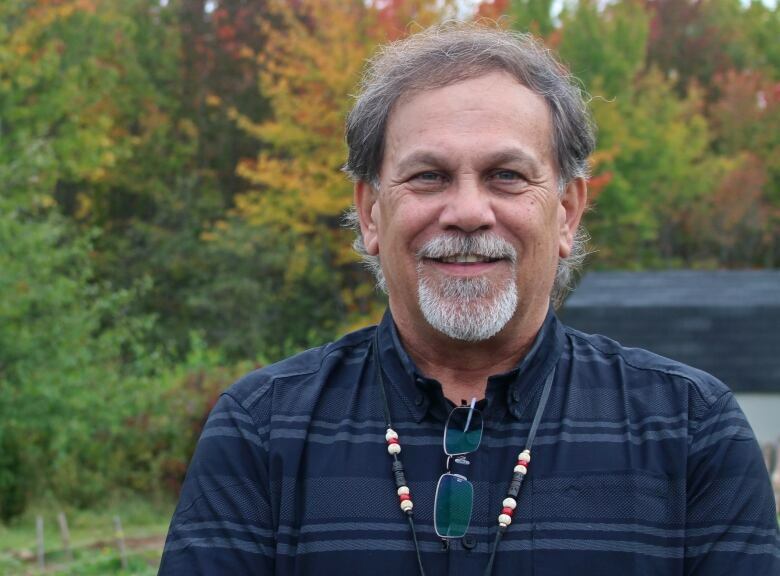 Chief George Ginnish of Eel Ground First Nation, the CEO of the North Shore Micmac District Council that established Anqotum in 2007, said the funding provides a great opportunity for First Nations communities to partner with industry using new technology. "The group at Anqotum is excited about it," he said. DFO said the investment will create 16 new jobs in the community, jobs Ginnish hopes will be filled by First Nations youth. "It would be good to encourage our youngsters to get into science-based programming and I know our communities would definitely want the positions filled by First Nations people first," Ginnish said. Wilkinson said he is not aware of any other place in Canada where artificial reefs are being used to enhance fishery populations.